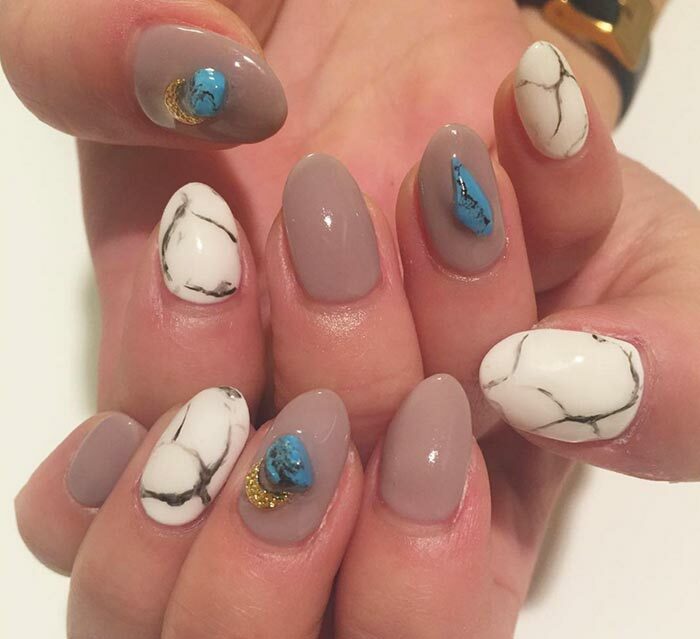 The latest new nail art trend is set in stone ” but the result is way more glamorous than it sounds like it would be! 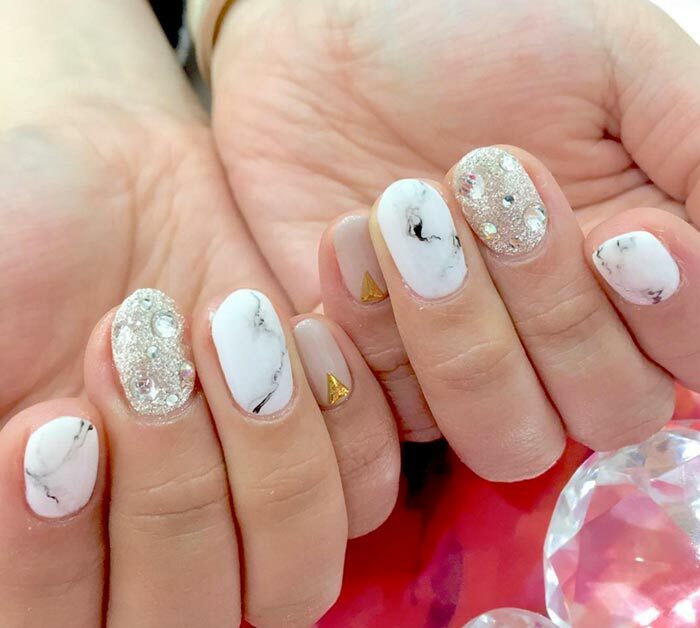 It is most notably the precious gems and stones that are featured with the stunning polish, but you can also play around with some marble that looks smooth and ready to face the day with your similarly chic outfit. 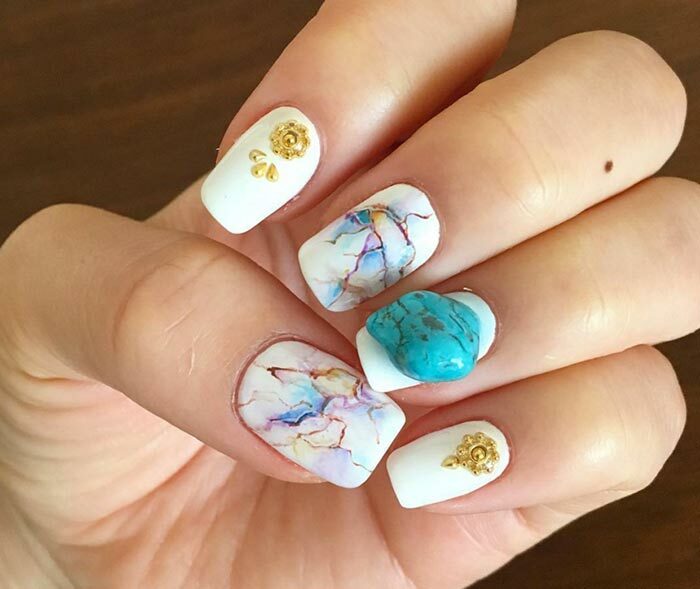 The marble nail design was the one that ultimately set this craze into motion, where the precious stones entered the picture only as the stone concept gained more momentum. So whether you’re looking for a chic stone-look in a darker shade or a glimmering bright huge mimicking your favorite gemstones, you’ll feel right at home with this social media-heavy trend. 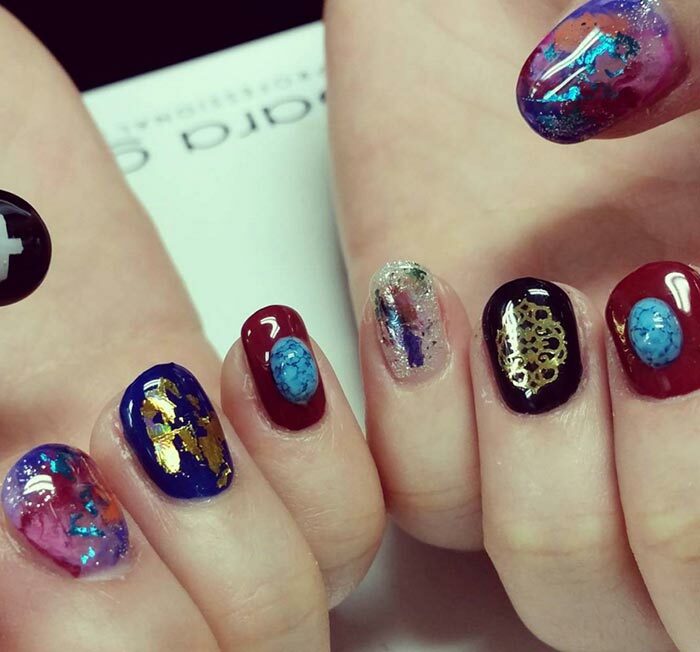 Some Instagram users are even adding in some gold to spice up the manicures further. Small bits of nail jewelry can amp up the excitement of the look, or glitter also works to add unbelievable dimension. The possibilities for add-ons here are virtually endless, depending on what color of stone you’re looking to don. Regardless of what you do choose, however, you can feel stunning with your new manicure while appreciating the freshness that comes from deriving inspiration from nature. Some of the nail polishes almost appear to be a little bit gritty, much as any uncut rock would, so you’re given that play on natural stones, by showing that gleam underneath the rough exterior. 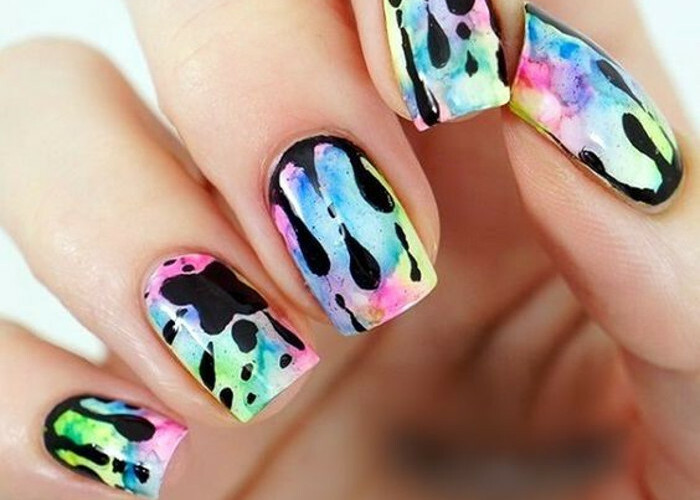 It seems that there’s already a nail art trend for just about anything, so it’s always a bit surprising to hear about such a simple concept causing such a wild stir online. The look can be chic, fun, professional, or a multitude of other purposes, depending on how it is styled or what is chosen, so the simple concept is actually quite striking, but the surprising element is that no one came up with this sooner. 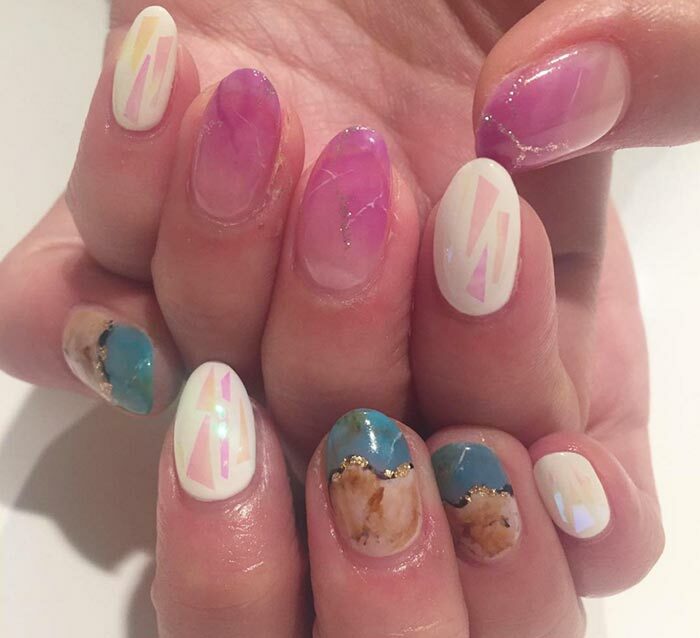 Looking at the Instagram uploads for this trend makes me particularly jealous that I can’t keep my hand straight enough to successfully use regular nail polish, let alone any sort of nail art. 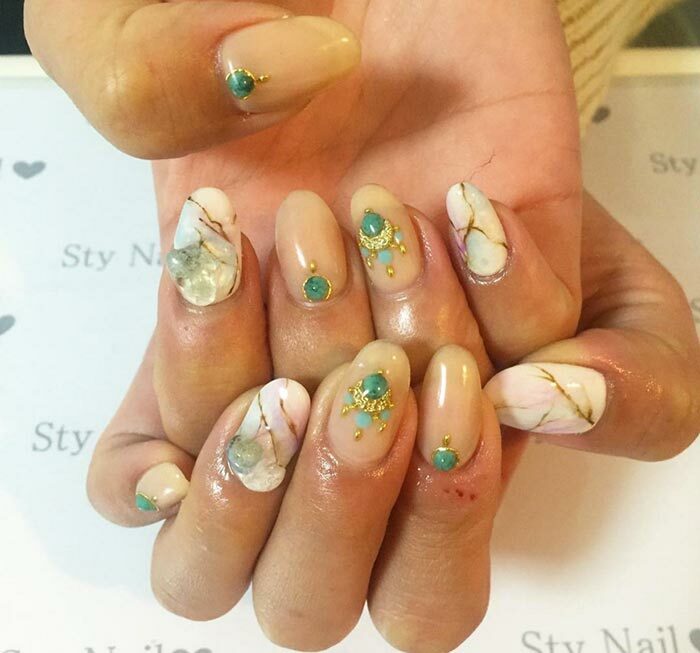 Stone nail art would make a wonderful addition to anyone’s day out with the girls, or as a personal day out in general. Adding in a trip to get a manicure can do wonders to boost your mood, especially if you’re looking for a little reminder of escape ” and of course it will be easy to remember, each time you take the chance it admire your lovely new nails. Although, if you’re opting for a more natural stone-look, the result can be a bit mind-boggling, as it can appear to be rather realistic if executed properly.